We discuss Paizo changing the word “race” to “ancestry” in Pathfinder 2.0. What does that mean for Dungeons and Dragons? Will WotC follow Paizo’s lead? Now that “ancestry” is taken, what would be some other alternatives? Is this a case of modern sensibilities triumphing over tradition? Enjoy our lukewarm hot take! Continuing our Campaign Confessions series, we look at our recent pirate-themed Dungeons and Dragons 5e campaign. Part one focuses on 5e itself and the reasons why this edition has become so successful. We try to put our finger, and maybe some blame, on who dragged D&D kicking and screaming out of the basement and made it appealing to a whole new generation of players. Is it the system itself or is it social media savvy? First comic books have become cool and now D&D. There’s hope for you toy collectors yet. Should D&D be everyone’s gateway into RPGs? After about ten minutes of listening to us talk about D&D, you may start to question the “Non-D&D” part of the title, but we do move on to other games. We look at Exalted, A Song of Ice and Fire Roleplaying, Runequest, and Dragon Age. We evaluate each game’s system, setting, and presentation. We also discuss which ones would be good gateway games. At the end, we talk about an out-of-print game that presented fantasy races in new and badass ways. 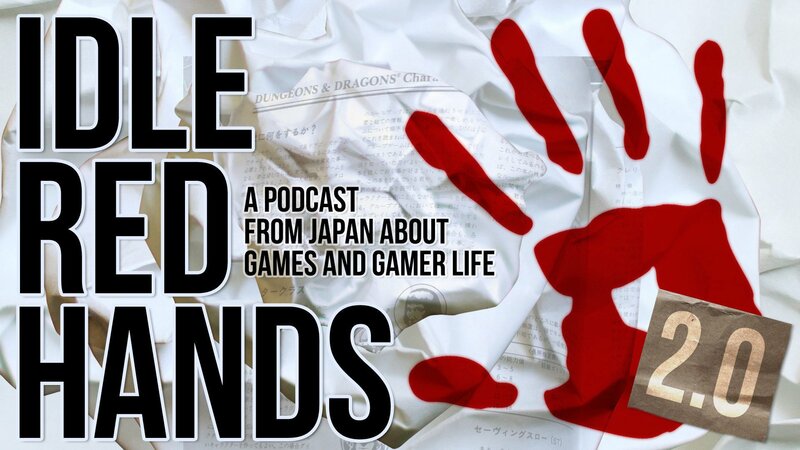 In this episode, we seize this rare opportunity to be topical and talk about the biggest news in gaming since the announcement of Dungeons and Dragons 4e: the announcement of, uh, Dungeons and Dragons 5e. We give our 5e wish list and, oddly enough for three guys that have yet to figure out to how to monetize their podcast, give our thoughts on what Wizards of the Coast’s business strategy should be. Next episode, we look at Street Fighter: The Storytelling Game. Here to stay? Idle Red H.A.N.D.S. (Hero Action and Network Defense Squad) is the code name for Japan’s daring, highly trained special mission force. Its purpose: to defend gamer freedom against the Active Blue T.O.E.s (Terrorist Organization of Evil), a ruthless terrorist organization of, uh, evil determined to rule the Internet. In this episode, the Idle Red H.A.N.D.S. discuss the cartoons they watched as kids and which elements they could use in their games. Now you know, and knowing is half the battle. Correction: The name of the Visionary Darkling Lord discussed is Cravex, not Craven. Who knew that a cartoon could be so subtle?